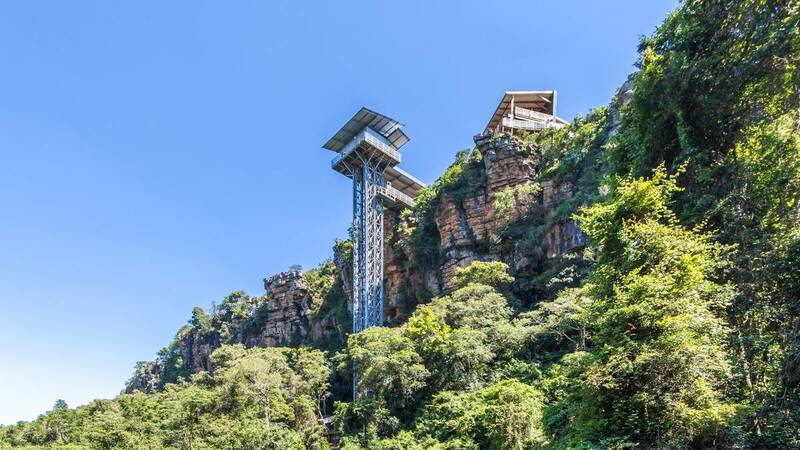 The Lift Company Lifestyle Centre forms the gateway to the forest below and is made up of a number of small retail outlets, a community craft market, and a restaurant perched on the cliff edge with spectacular views of the waterfall and forest below. The gorge is centrally located on the Panorama Route and is an ideal stopover point, whether it be for the view, the forest, the food or the various adventure activities, guided tours and hikes in the surrounding areas there is bound to be something for everyone. Your journey begins as you drop off the grassy cliff top plateau, in a custom designed 26 passenger viewing lift, down along the cliff face descending into the cool mountain forest below. What an awesome experience. Everything was fantastic from the food, service and the beauty of the f... - Ashleigh Hickman. 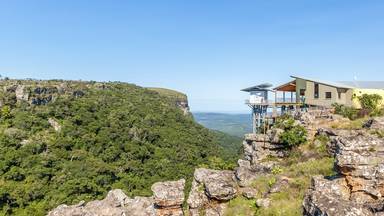 Book things to do at Graskop Lift Company. Find the best things to do at Graskop Lift Company. What people say about Graskop Lift Company. Wonderful facilities, had a fantastic time, a must do when in or around Graskop. Initially though the experience to be a bit expensive but once we saw how much work went into the facility we were comfortable that it was indeed a good investment. This will definitely revive the Panorama route! Graskop Gorge is Mpumalanga's hidden gem. Worth a visit if you (like me) spend most of your time in the concrete jungle. It is gorgeous. Bit pricy but then again its limitless use for the day.....absolutely breathtaking and very calming too. Only recommemdation is for The lift to be an entire glass enclosure creating more transparency and perhaps include a brief overview of the process or facts about what is down below even if a voice over when the elevator is being used making the ride up and down slower too.